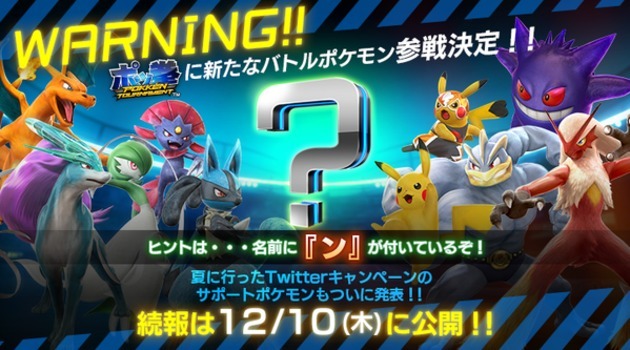 Pokken Tournament currently hosts 11 characters (counting Pikachu Libre and Shadow Mewtwo), and it looks like one more will be revealed on December 10, as per the official Twitter account. I'd wager that the new character would hit the arcade version of Pokken rather quickly after the announcement, as all of the others have. It's set to debut in March 2016 in Japan on Wii U, and for the rest of us, later in the year.